Happy New Year, to #newbeginnings! ​As a long time framer (and fellow artist) it’s always such a pleasure to meet and discover amazing new artists. 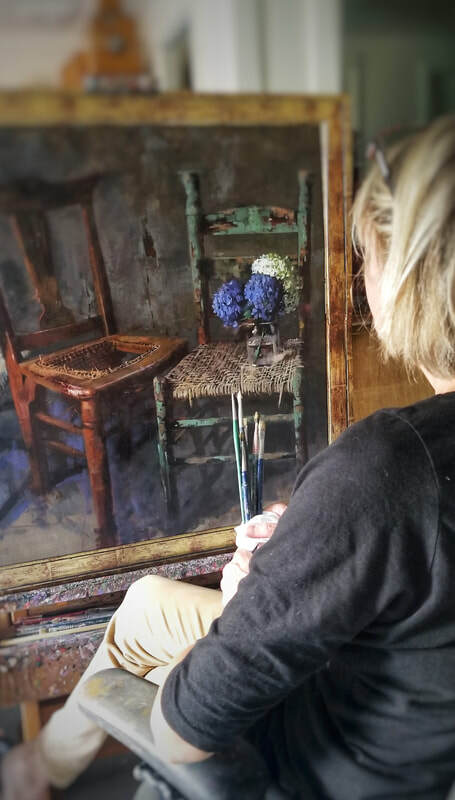 I enjoy building relationships with these beautiful creatives, who often are immensely insightful and empathic creatures, and whose visions add so much color and beauty to our lives. 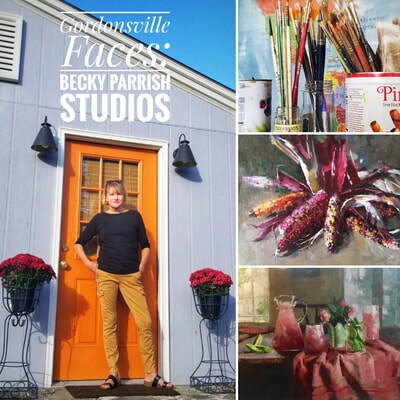 Becky Parrish, also a new-ish Gordonsville resident, has become one of these amazing new friends. 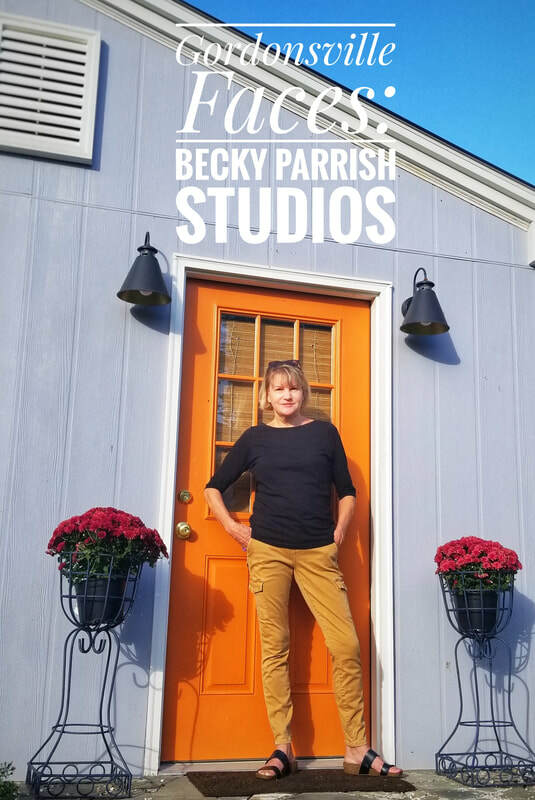 Becky moved to GVL in the Winter of 2015 when she fell in love with an adorable little cottage that she has lovingly restored and made into a gorgeous little artisan home with an adjacent light filled studio space and lovely colorful garden. ​that she has become great friends with. 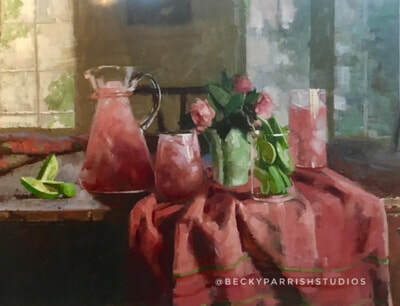 Like I, Becky received her undergraduate degree from the Corcoran Gallery School of Art in Washington D.C.
​She then went on to get her masters in painting at GW. 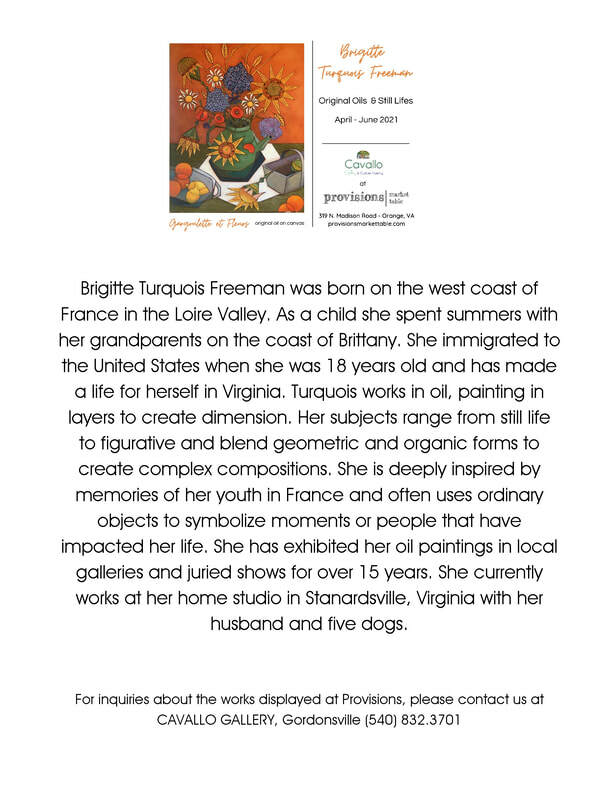 Over the years, she spent many summers in Bretagne, France, where she used her time painting French market-inspired still lives while her artist husband at the time spent the days painting landscapes in the French countryside. Becky works in oils exclusively with an emphasis on still lives and portraits. ​and teaches classes in Warrenton on Thursdays. 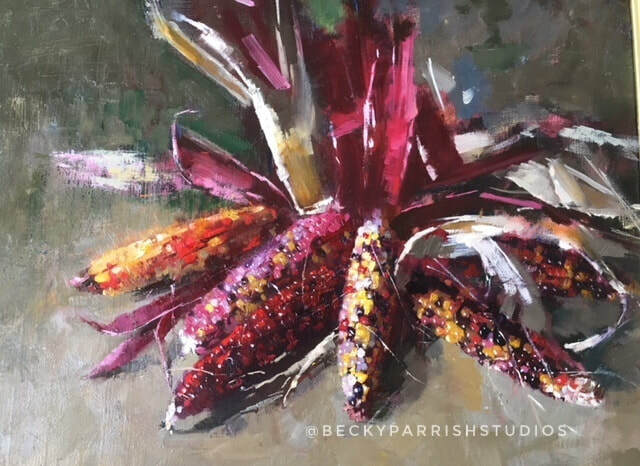 For more info, visit her website at beckyparrish.com or find her on social media. you can follow her and her gorgeous work at @beckyparrishstudios on insta! 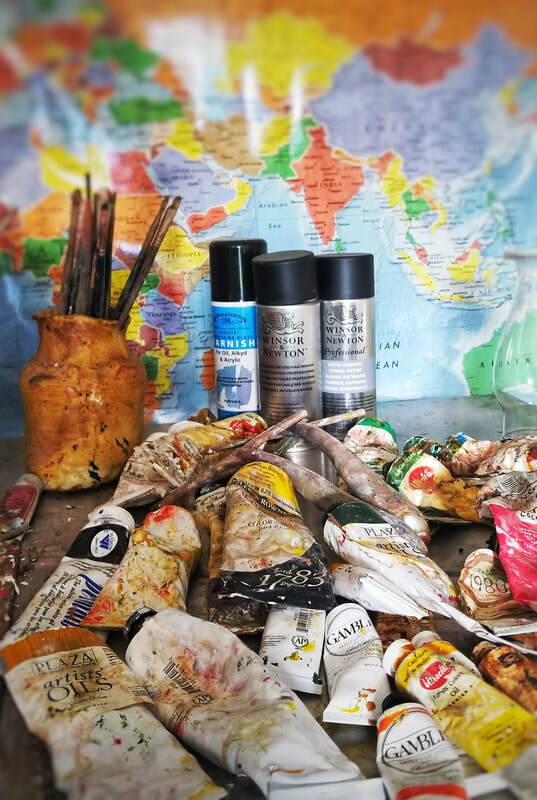 Little by little, our collection of clean(er), green(er) products is growing, and I am so pleased to say that so is your interest! It's so important to think about what we use in our daily life: it does not just affect our own health, but also that of the people around us, and the environment. None of these things are replaceable, so let's treat them all well! Olie Biologique is an old favorite of mine that was also part of La Linea Bella. and I'm so pleased to be one of the first places where you can find it in person! and by repeat-(and repeat)-request, a whole section of lavender soaps! 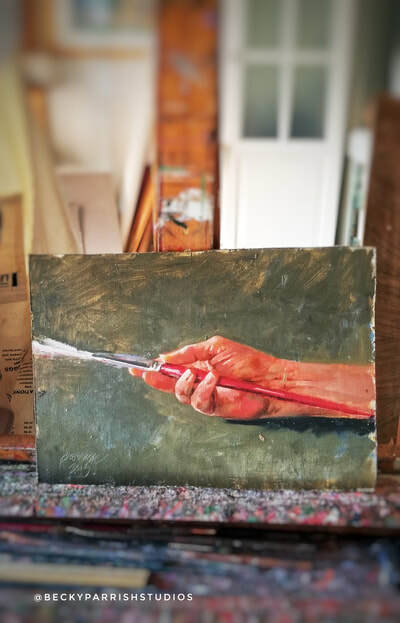 With the weather being so off, I've been able to focus on some restoration projects in the studio as well as a bit of fine tuning. More samples are on the way as I slowly remember some of my previous favorites! I am taking requests for anything you might be missing or looking for, just let me know! Pop by to see the new space if you have not been in, come and say hi and treat yourself to a late-winter treat! Open Wed - Sat 11 - 5 and always by appointment. 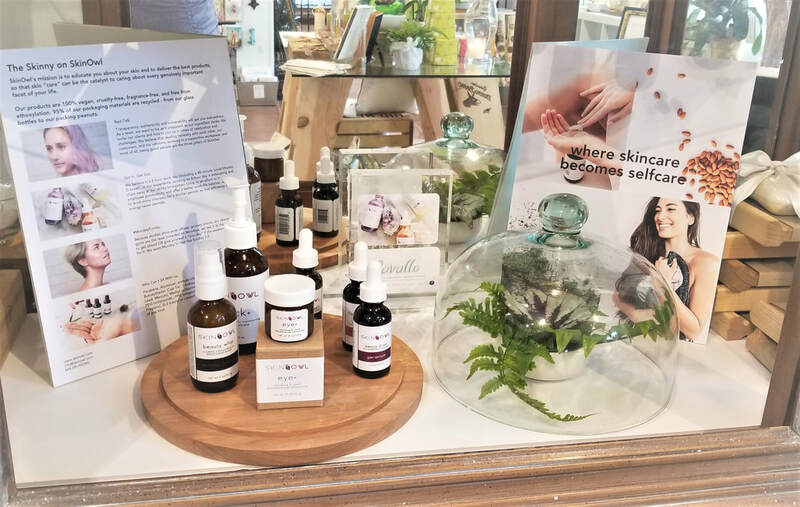 The collaboration between Olie and Melissa Meyers is a daily radiance face oil blend of 14 all natural and organic potent plant and fruit seed botanicals that gives glow and luminosity to the skin. This oil follows Olìe’s mood-boosting ethos to impart a sense of well-being to one’s day. 1 bottle = 1 week of fresh fruits and vegetables. Davids is committed to using premium USA Origin ingredients for the highest quality possible and to support American jobs. Davids comes in a retro, recyclable metal tube. Metal tube key roller/squeezer included. 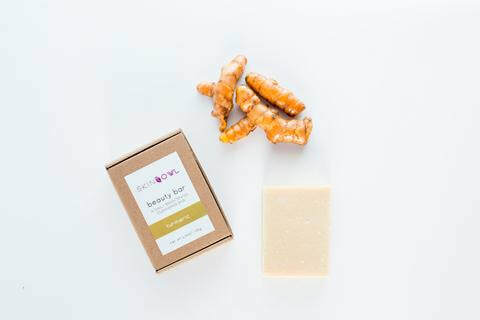 Fluoride Free, SLS Free, Sulfate Free. ​Welcome to March - almost! February came ... and went! Super fast, packed with fun projects, catching up with old friends, finishing the workshop, and so much more. ​Keep scrolling for my fav new gifts at the bottom! Most asked question: WHY ARE WE ONLY OPEN WED - SAT? Well ... the artiste needs a few days to create, deliver and prep, and those days are Mondays and Tuesdays. 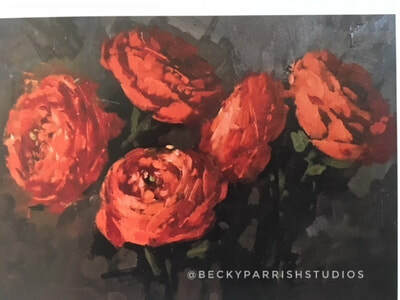 So far I have been open most Tuesdays while I complete work in the studio, but for now I will stick to my Wednesday- Saturday design and showroom hours to complete your projects on time and with the dedication they deserve. please call ahead just to make sure I can set aside ample time to spend with you! Thank you! Our ROMA samples finally arrived, hundreds of them! More are coming, including great new designs in copper and rose gold. Love! Also in: Fab Italian mouldings by BELLA moulding, and a ton more great colorful and multi-textured choices. 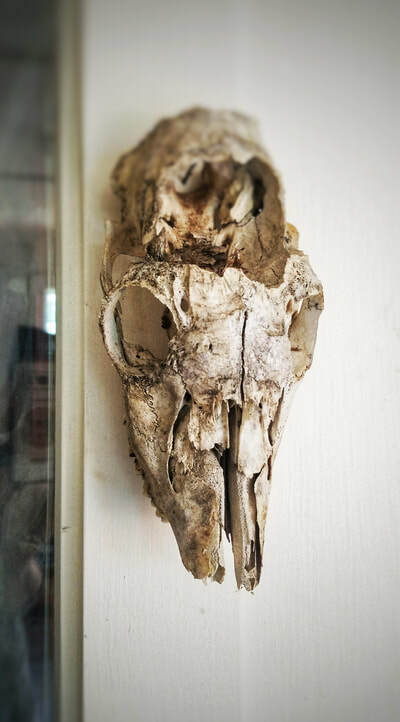 ​If you are looking for it, chances are that I will have it! 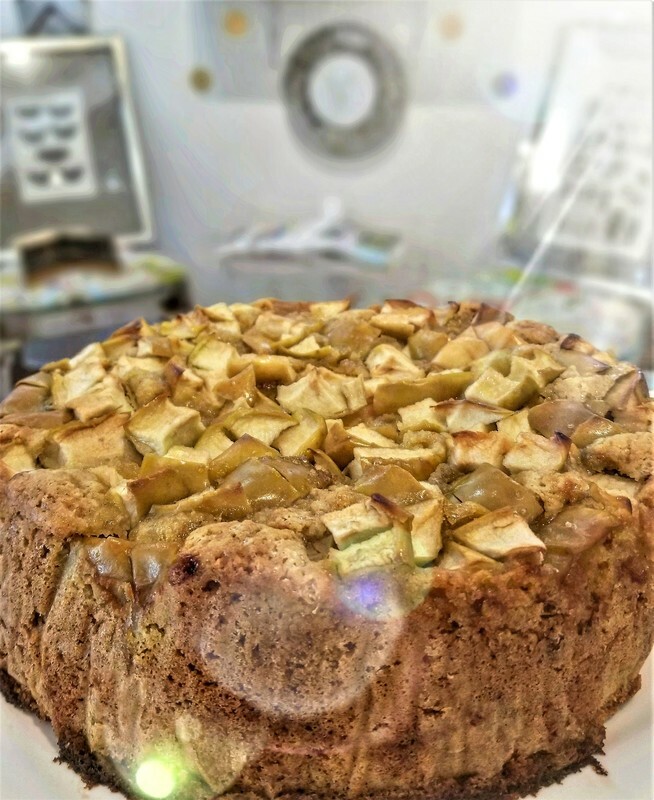 Locally made in my neck of the woods, non GMO, vegan, dairy free, paleo friendly, super delicious ... the list goes on and on and we can't stop raving about those delicious new treats that arrived at Cavallo two weeks ago. Read the health story behind My Chocolate Shoppe! If you are trying to avoid the "nasties" but crave chocolate every once in a while, your time has come! There are so many health benefits to eating clean raw chocolate, it contains minerals, selenium, iron, has a mood boosting effect, and then some: there is no excuse NOT to eat it! Come and check out our selection of Almond Joyfuls, Peanut Butter Cups (customer fav ), Peppermint Patties (BF fav), and the nut/Seed Bark, which is my personal fav. As of this week, all of Clean Conscience's chocolates will be made with a new even better organic raw chocolate from Equador. Also coming: sipping chocolate and their amazing Chakra-lates (essential oil infused chocolates that speak to your chakras). PAPAYA vegan bucket bags, tassle pouches and accessories. Need some color & inspo in your life? ​Pop by and see what's new! ​Thank you to EVERYONE who made it out to Cavallo for our Opening Meet & Greet on January 6th, and who braved the journey in spite of the bitter cold! The rest of our samples will (hopefully) arrive this week and our official opening date is Wednesday, January 10th. Wednesday - Saturday, 11 - 5 p.m.
After 5 p.m. - by appointment. We already have a back log of orders, so if you are planning on bringing in framing, please call ahead for an appointment so that I can make sure to set aside plenty of time for you! My name is Beate and I am an artist and avid frame fanatic, and a strong follower of a Paleo and healthy toxin free lifestyle. Born and raised in Germany, I studied Printmaking in College and the mechanics of creating frames went hand in hand with the process of creating prints and plates. 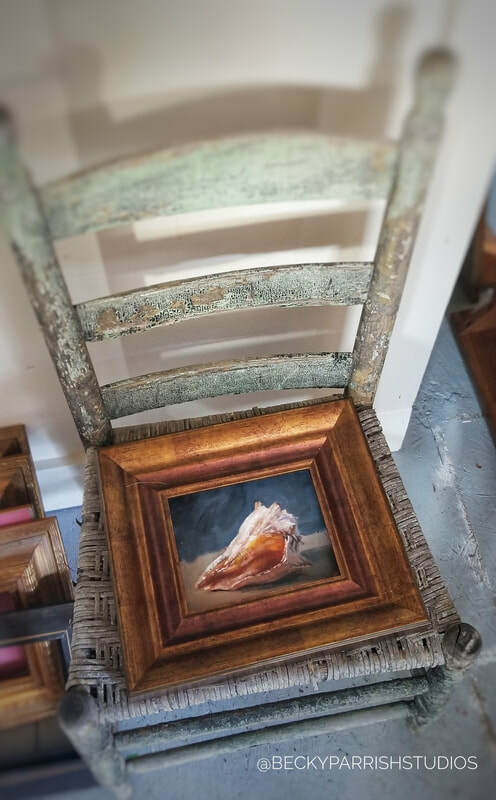 In the early 90's, I started framing at one of C'Ville's oldest frame shops and moved on to manage another fabulous venue for 15 years. Then I got an itch and opened my own venue, La Linea Bella in the more artistic section of Charlottesville. Surrounded my metal crafters, jewelers, painters, musicians and other creators my business flourished - but my heart was never truly rooted in Charlottesville. So my partner and I set out on a journey to find a new home in 2015. Here we are in 2018, and we've landed (very close to C'Ville) in gorgeous historic Gordonsville, VA, the brain child of a French patron who has made it her goal to preserve this gem of a little village. Nestled amongst vineyards and conveniently located between Richmond, Washington D.C. and Charlottesville, this adorable little town's facades hold the charm of an ancient European village and travelers from all over comment on the quaint tranquility of it all. There is not a person who walks around without a smile on their face here! 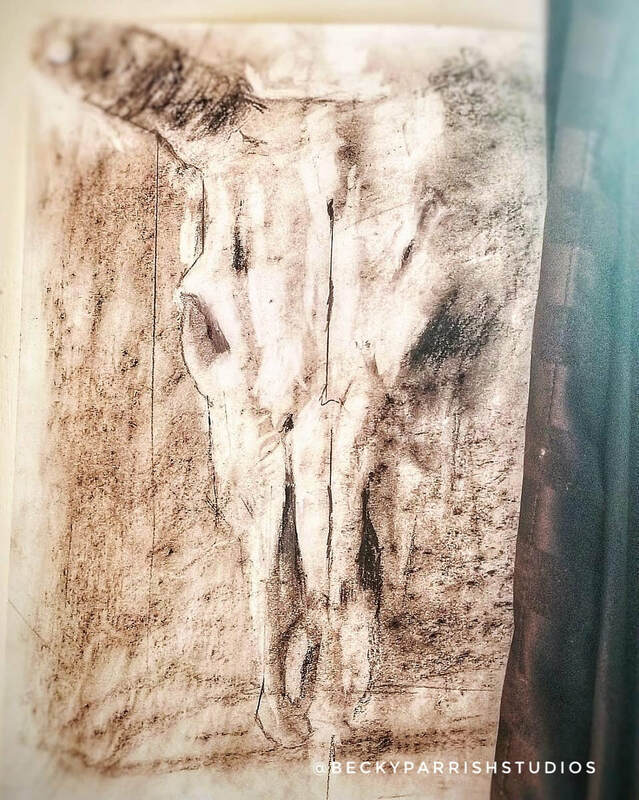 We feel so blessed to have found a home here and to now be able to share with you our new venue CAVALLO, named after a gorgeous life size wooden horse that trotted into our lives just about when we arrived. and the new open workshop and atelier in the rear (my artistic heart). from 3:30 - 6 p.m.
We will open for regular hours in mid January!